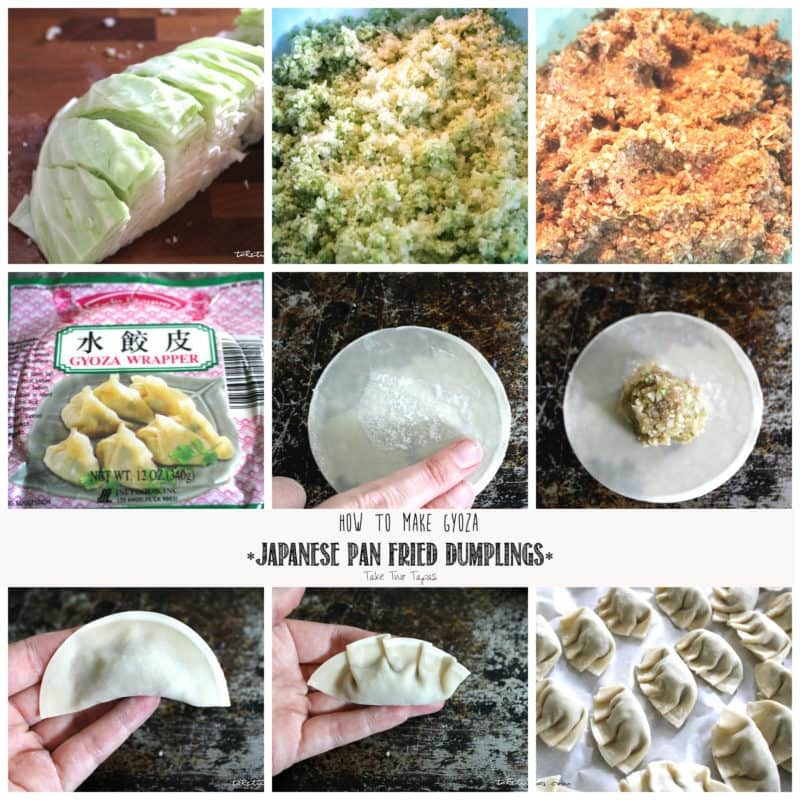 Ever wanted to learn how to make that delicious dumplings that you get at the Japanese restaurant? 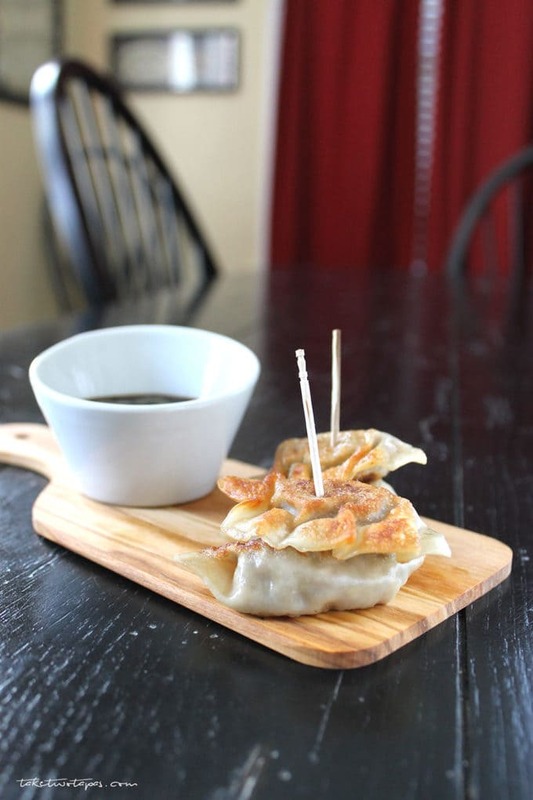 Now you can make gourmet, gyoza (or dumplings), at home and impress your friends! Yes, the name is pronounced (Ma-chee). I have met Machi only once, but she is forever a part of my life. Machi is the mother-in-law of the best neighbor you could ever ask for. We only lived next door to the Burnett clan for a very short 14 months, but I still consider them my neighbors. We have moved twice since our stint in Orlando, but when I tell people I am going to visit Scotty-B and the girls, I refer to them as my neighbors. Not, my friends and their daughters, but my neighbors. That may have sounded harsh to not call them my friends, even though they are, but I call them my neighbors because in my mind I never left. I want to feel like I am still next door to them. I want to crawl in their back yard window and steal some baking powder (Heidi has some but she doesn’t know what it’s for and how it got in her cabinet), play “Duck, Duck, Goose” with the girls in the grass (now we talk about boys), and spend our Friday nights playing Cribbage while listening to 80’s music. Grandma Machi is Scotty B’s mother and she makes the best gyoza, or Japanese Pan Fried Dumplings. Heidi so graciously introduced me to these tiny pockets of joy not long after they moved next door to us. We sat on the back porch and stuffed and sealed about 200 of them that afternoon. I asked “why so many?” “Because that’s what the recipe makes,” was the response I got. So I went with it. Such simple ingredients, yet the flavors blended together so well. When I make them, I always think of Heidi and the gang, and feel like I am sitting on the back porch at home. If I was given the chance to move back there, I would buy the house back from the current owners, and truly be home once again. Here is the recipe for these amazingly addictive dumplings. Tips and notes are found below the recipe. 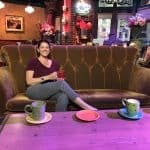 Be sure to read all the way through before you get started! In the food processer, combine the cabbage, spices and onions. Remove to mixing bowl and add the remaining ingredients. Get a tray together that contains the wrappers, filling, and small bowl of water. Add a scant amount of filling (about 1 teaspoon) to the middle of the wrapper. Add some water around the edges. Fold over and remove all the air. Pinch and pleat the edges. Repeat until all the filling is used. Add 1 teaspoon canola oil to a non-stick pan. Add a few gyozas to the pan and cook until the bottom is brown and crispy. Flip over and add 1/4 cup water the pan. When all the water has evaporated, remove the gyoza from pan. Combine the soy sauce and lemon juice. If you want to adjust the lemon juice level to your liking. I like mine tart! Sprinkle the sliced green onions over the sauce to soak up the juice. This recipe makes around 200 dumplings. You can break it into various steps and finish when you are ready. You can make the filling, portion it and freeze it uncooked. You can make the filling, fill part of the wrappers, and freeze the rest. You can make all the gyoza and freeze them uncooked. If you want to stop here, lay them out on a parchment paper lined baking sheet, in a single layer, and freeze for a few hours. Then you can consolidate them into a freezer bag for later. You can make the mixture, stuff the wrappers, cook, and then freeze. 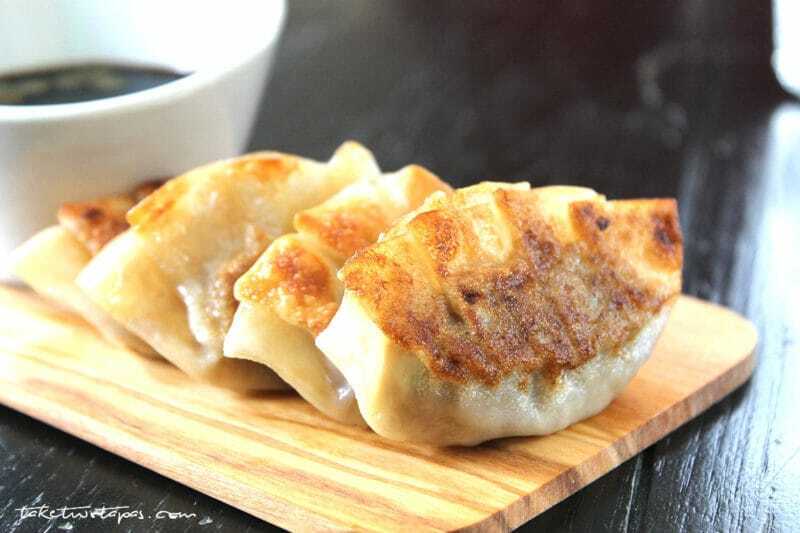 If cooking frozen gyoza, allow to sit at room temperature for 5 minutes before cooking and allow a few extra minutes during the steaming process. You can reheat previously cooked and frozen gyoza in the microwave for a minute or two, depending on your microwave, until they are hot. 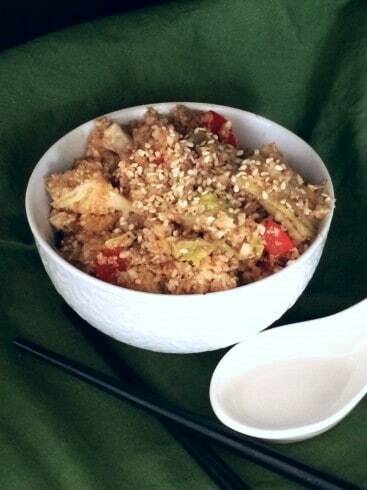 You can also eliminate the meat from the filling and make them completely vegetarian! I like to make mine on a Sunday afternoon, make all 200, freeze 150 of them and cook the rest for dinner! These reheat well during the week for an afternoon snack or a quick side dish for dinner. I hope you get the chance to make them! Let me know how it goes! Loooove these! I want to make a huge batch and freeze them so I can conveniently grab some whenever I want! That sounds like a great idea! Pop a few out when you are having some soup! 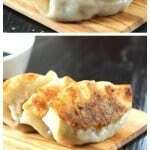 I adore Chinese dumplings–I would love to try these to compare. They look amazing. And what a wonderful story and memory to go with them! Thank you Laura! I love making these every time I go to their house. I am still in touch with my neighbors from childhood, so I get the whole “we’ll always be neighbors” thing, I haven;t even lived in NY for 25 years, but they are still my closest friends. and tehse dumplings sound amazing! I actually have a little press that folds gyoza into shape but I’m embarrassed to say that I’ve never used it :(. That has to change, I’m rounding up the kids and we’re making this recipe! Oh where can I get one of those??!?!?! Family recipes are the best. Can’t wait to try these! Thanks Jessica! I love these and the story behind them! Yum, I like the sound of these and what a soleful story. I’m sucked in twice over. I am SO making these! They rate 5 stars from me. I love that you make a huge batch and freeze them. They sound so tasty and pretty healthy too! #SaucySaturdays#10. Thanks Diane! I love having them in my freezer for a quick dinner or snack and that I get to spend time with my family making them! Thanks Farha! I hope so! Thanks mom! You can come up and we can make a batch together! 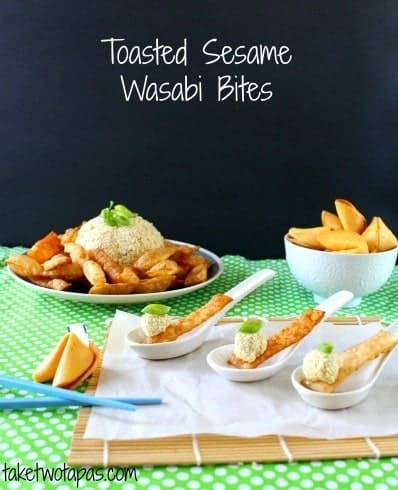 These look absolutely scrumptious, thanks so much for sharing this recipe… I definitely want to give it a try! Great neighbors are the best…so many good memories! These look wonderful! I really want to try making them! I love that you make so many and that they are freezable so you can enjoy them that much longer! Can’t wait to try them! Thanks Michelle! That is the one thing about this recipe that clenched it for me. It makes a lot and you can stop at all these different steps! Those sound really yummy. I bet they are really tasty. I wouldn’t mind trying to make these sometime. I love trying different kinds of food. Oh my goodness – these look so good! They really look like something you would buy in a restaurant, not make at home. Thanks for sharing the recipe! This looks and sounds amazing to eat for dinner!! My husband would love this recipe as well. Thanks Tammilee! I hope he loves them! Me too! It’s dangerous always having them in my freezer! Great for pulling out at a last minute party or guests that stop by! These are one of my absolute vices!!! Even though I enjoy cooking and trying new recipes I have yet to make these! Get to it Lisa! I think you will love these! Can you believe I’ve never had dumplings before? There is a fast food restaurant opening up in the late Fall around me which apparently will be serving them. I should try them out. Oh cool I always thought it would be cool to make dumplings like this. I’d love to give this a shot. Thanks Liz! Let me know how they turn out! Those look so good! 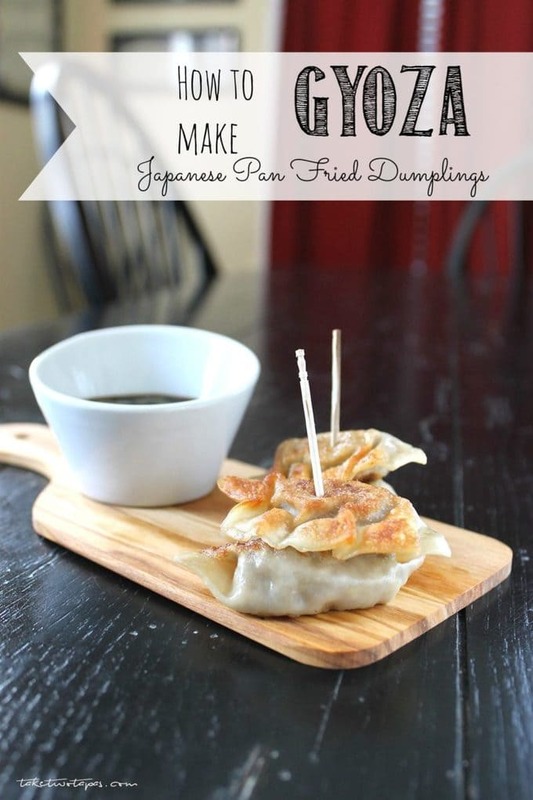 I love dumplings and am going to attempt this recipe! Those look so good! 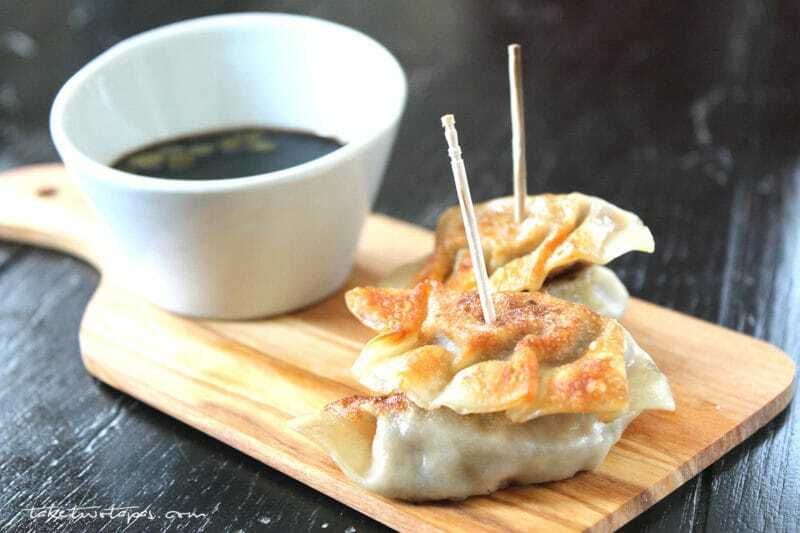 I love dumplings and am going to attempt this recipe. Thanks Michelle! I like that they are steamed so they are relatively healthy! Look delicious! I’ll bet my family would love these. What a great way to remember your neighbours! It’s like a walk down memory lane every time I make them. Seems like every great memory I have has to do with food. Makes it easy to remember them often because I eat ALL THE TIME! I had to stop reading right in the middle and pin this recipe! You don’t know how hungry I am right now and how amazing these dumplings look. I can hardly wait to try my hand at making them! Thank you so much!! Thanks Alli! I love all your posts too! Just subscribed so I don’t miss one! 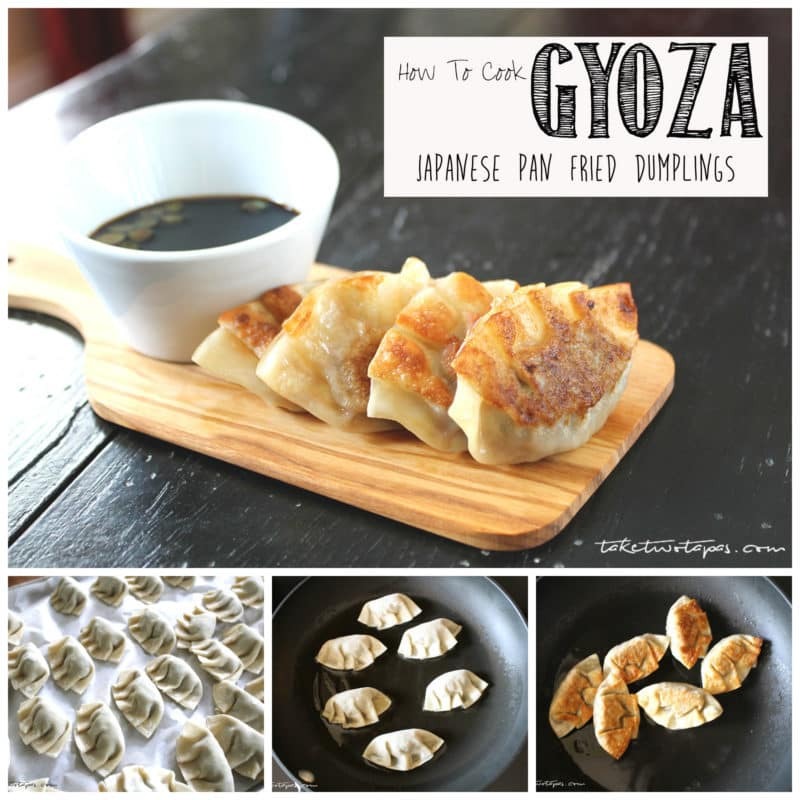 I love gyozas and what a great recipe! I am not craving them and might have to put these on my list to do soon! Nothing like a good gyoza. I was just in Japan and ate a lot of this. Thank you for sharing this recipe, the food looks delicious too! I have never had a dumpling before. They sound really tasty, though and I would love to make one some time! OH I am so excited to try these. Gyoza was my favourite growing up in China, and I’ve only found one place locally that does them well. Thank you for sharing this recipe. I love gyoza. I am lazy and just buy them frozen, but this post has cured me of that. I will make these. Thanks! I was amazed at how easy they are to make once I got the hang of it. Sometimes I don’t even pleat them fancy. I just fold over and pinch together. Nothing I love more than pan-fired gyoza. These look wonderful. You’ll find that it is easy! They just make a lot of them! Future freezer meal!